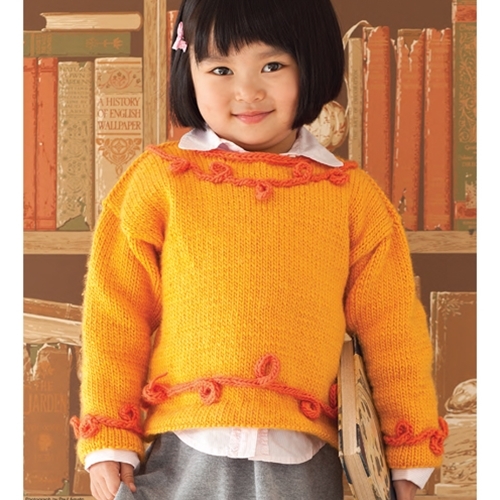 A twisted I-cord trim acts as built-in jewelry at the edges of a simple stockinette sweater. See workshop on last page for an I-cord brush-up. Go for a rainbow effect: Use different colors of I-cord trim at the neckline, cuffs and waist. Sized for Child’s 2, 4 and 6 Shown in size 4.